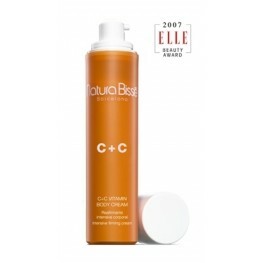 NATURA BISSE C + C LINE – for SKIN PIGMENTATION CONCERNS/AGE & DARK SPOTS, and ENVIRONMENTAL PROTECTION. Discover a radiant complexion with this luxurious Vitamin C+C line which evens out skin tone and protects the skin from environmental aggressors and sun damage which accelerate the ageing process. 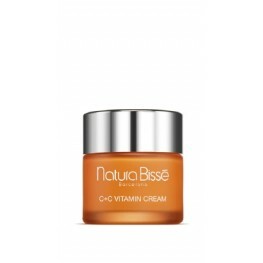 The NATURA BISSE VITAMIN C + C RANGE contains protecting, anti-oxidant, firming, hydrating and lightening properties to repair and prevent visible signs of ageing. Pure Vitamin C, with Vitamins A and E help to brighten the skin, lighten pigmentation and reduce the appearance of fine lines and wrinkles. This revitalizing range reverses the signs of ageing caused by environmental exposure. You can achieve maximum skin clarity by improving texture, elasticity, firmness, hydration and reversing hyperpigmentation. Skin is infused with Pure Vitamin C and other powerful antioxidants to neutralize and destroy free radicals found in the environment, which may reverse premature signs of ageing and improve the appearance of skin. In addition to a strong internal cellular defense, the range also works to protect exposed skin from UV radiation and damaging free-radicals and will reduce redness and swelling after UV exposure. 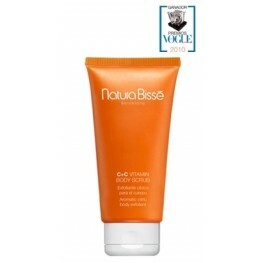 Formulated with a Vitamin C base, this luxuriously rich and firming emulsion provides a complete ..
Natura Bissé C+C Vitamin Body Scrub 200ml Aromatic citric body exfoliant A cit.. 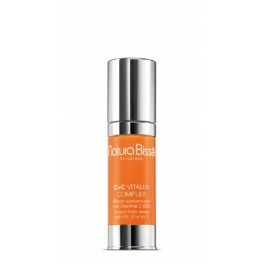 This revitalizing and anti-aging serum provides the highest concentrations of Vitamin C with each..
Restores elasticity, tone and firmness to the skin due to the extraordinary amounts of Vitamin C .. 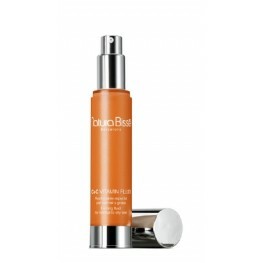 The skin may regain its soft texture thanks to an exceptionally effective, non-aggress..
Due to the extraordinary amounts of Vitamin C in the formula, this fluid emulsion is p..
A refreshing and moisturizing spray that provides instant well-being. Essential Citrus..